Dynamic and lively arcade game with groovy tunes. Control an enormous worm, a creature driven by hunger. Let's go hunting! Pop out of the ground and eat the panicking people. But things will get more difficult in time. Tanks and helicopters will show up at your "restaurant" to deal with you. Alas, you can fight them too! 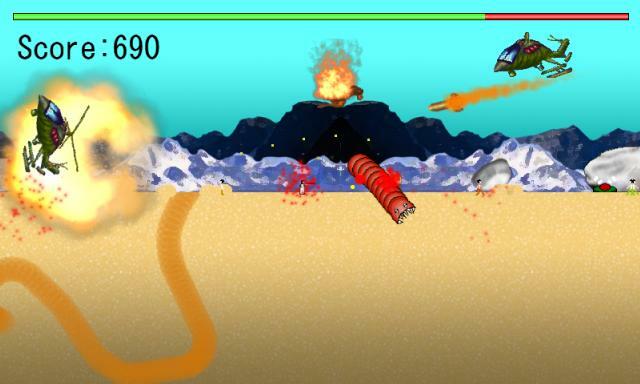 The worm can take down the enemy craft, using a special technique to hurl rocks at them. The ultimate goal is to eat as many people as possible, to score the most points, before their defenders take you down!